Makeup Revolution is quickly becoming one of my favourite inexpensive beauty brands, even though their prices are low that doesn't mean the quality of their products is cheap - quite the opposite! 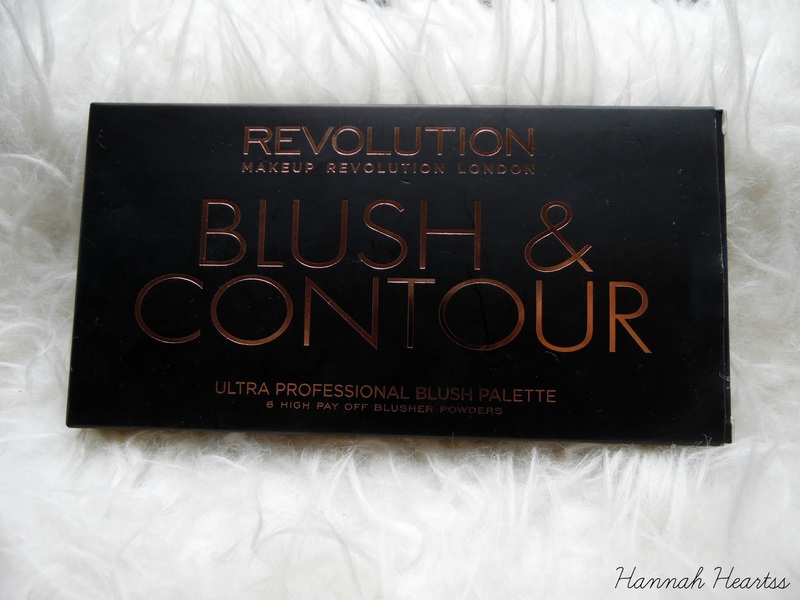 When I saw that my local Superdrug stocked Makeup Revolution I knew I had to pick something up so I chose the Blush & Contour Palette in Hot Spice. I cannot believe this palette only cost me £6, a complete steal! 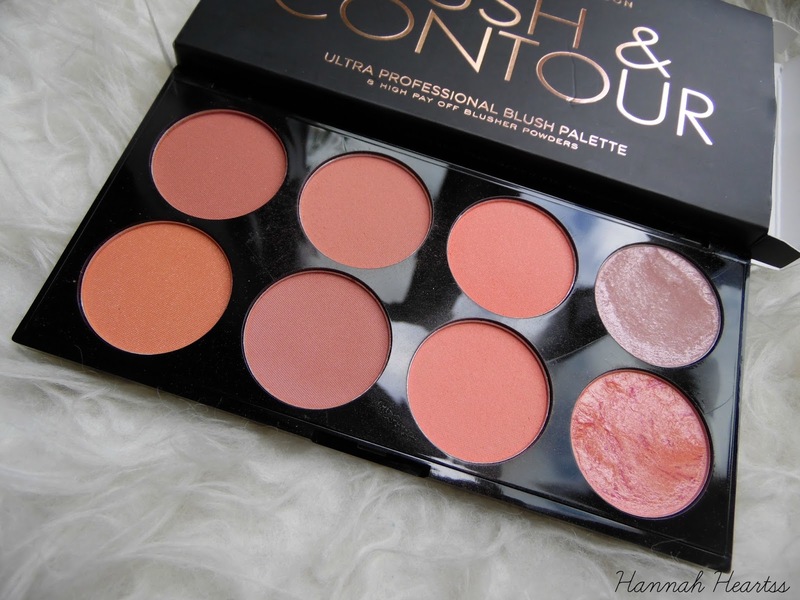 Blushes are one of my favourite beauty products and so are palettes so a blush palette is like my perfect beauty product! The There is two versions of this palette, I picked up Hot Spice which is the more orangey palette. 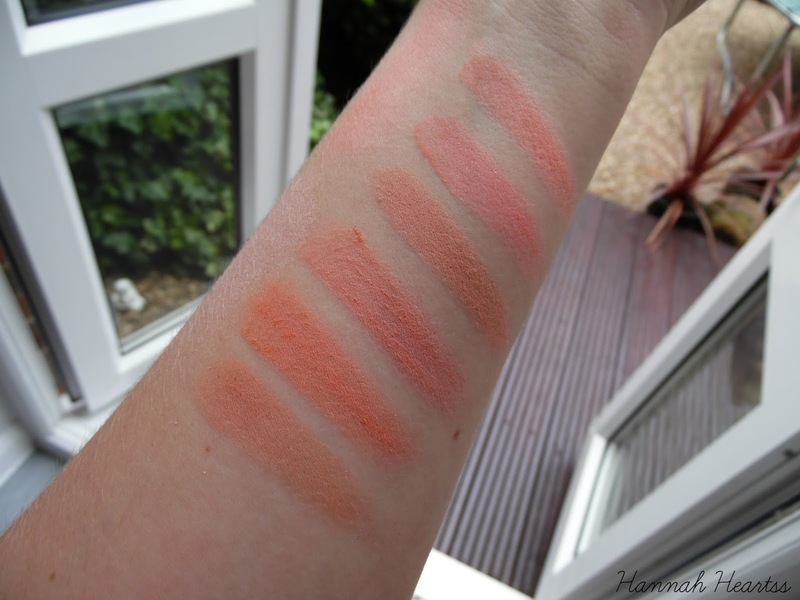 In the palette there is six blush shades and two highlighters, all of which are extremely pigmented! I made the mistake of going in heavy handed with these the first time and you only need the tiniest bit so please learn from my mistake! The packaging is simple yet stunning. It is a glossy back with beautiful rose gold writing, points to Makeup Revolution for the rose gold! The palette is made really well and also has a large mirror on the inside so it would be perfect for travel! All six of the blush shades are wearable and I find myself reaching for this palette over any of my other blushes at the moment. I find that they go with any eye look or lip so I know I will pick a blush that will look good with any make up look. Both highlighters are stunning too, I prefer the top one as it is lighter because I am quite pale. Those swatches really don't do the palette justice. I have used all of the shades a couple of times and they really do hold up all day which some of my higher end blushes don't even do. This palette is one of the most pigmentation that I own and I can't believe it only cost me £6! I would highly recomemnd this palette and I will have to pick up the other version soon! If you want to get yourself this palette, you can click here. Have you got this palette? What did you think of it?